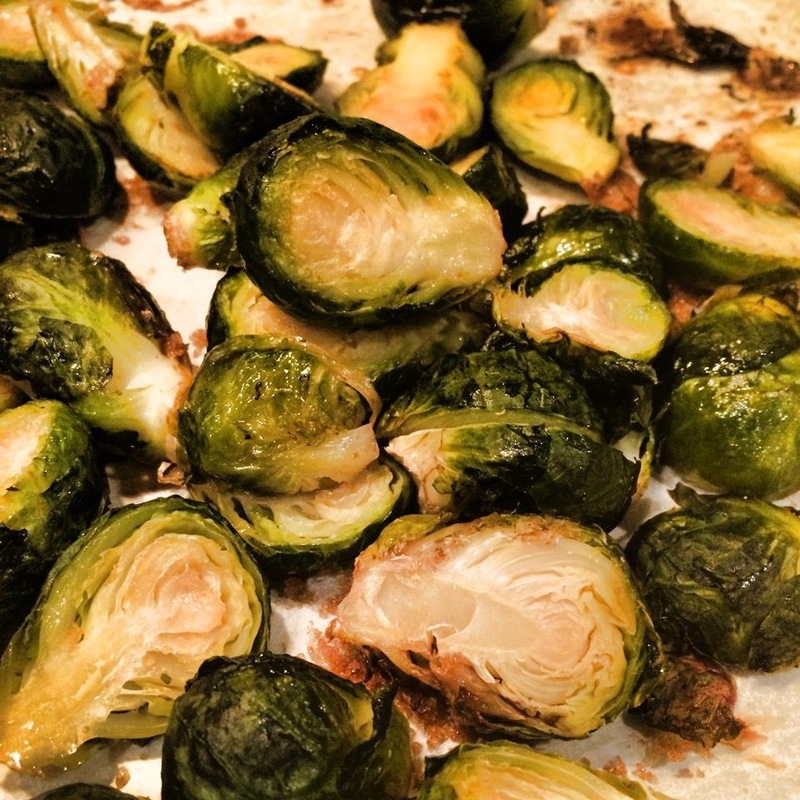 Brussel Sprouts – love ’em or hate ’em???? Doesn’t that bright green color just seem so appealing??? 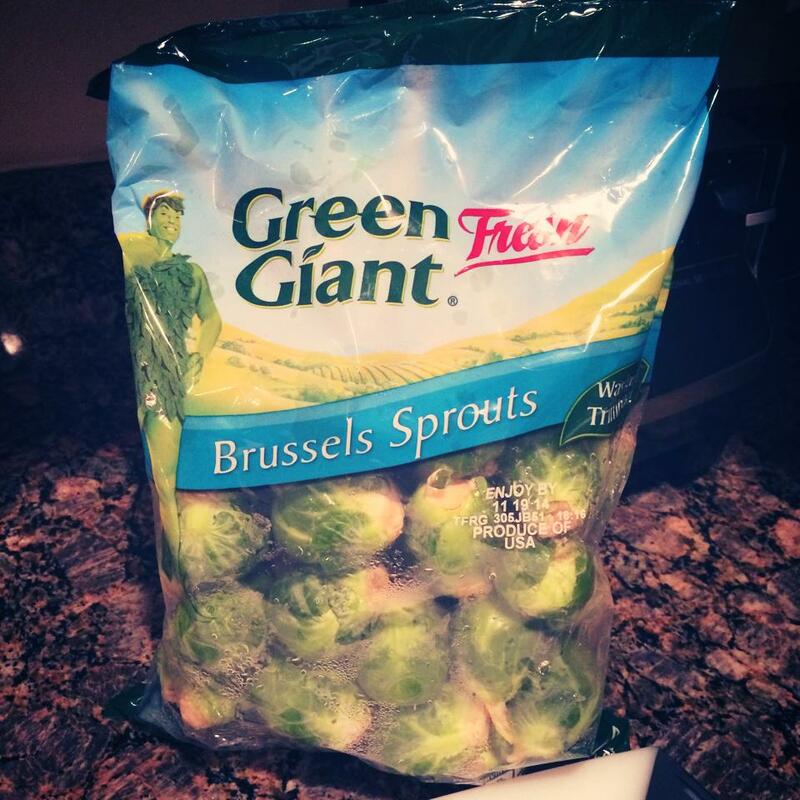 In all seriousness I was bound and determined to find a way to “like” Brussel Sprouts. Its no secret that these little veggies are one of the most highly beneficial greens you can eat but the name alone made me cringe. I had never even tried them but the reputation made me steer clear. Time for my big girl pants!!! I took the easy way out and picked up one of the pre-washed and trimmed bags and it sat. And sat. And sat in my fridge right up to the expiration point at which point I decided wasting money was far worse than failing at cooking these little things so I went for it. My first attempt was a turkey bacon Brussel Sprouts. 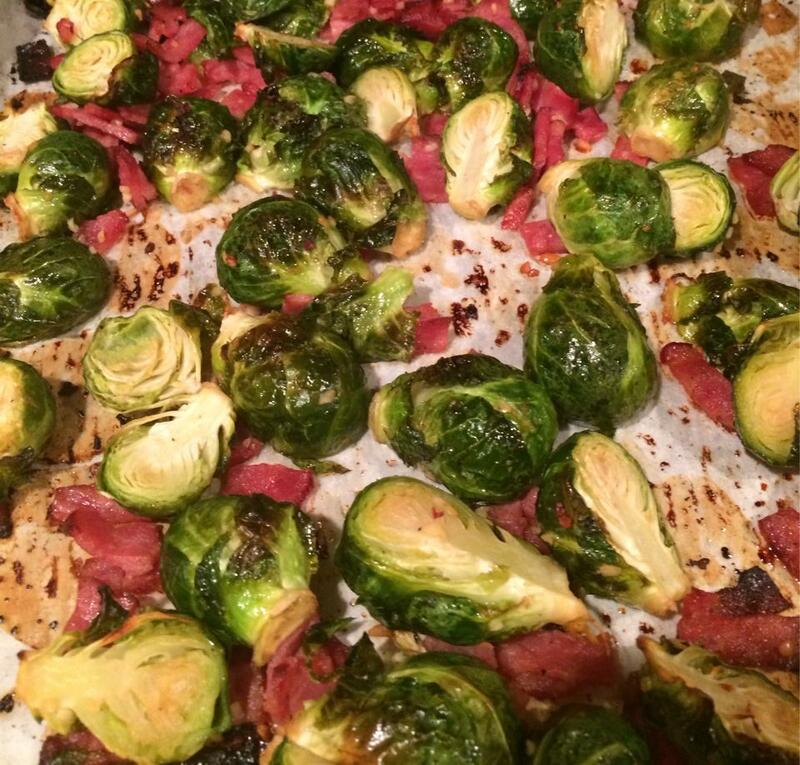 In my mind, everything is better with bacon so why not the case with Brussel Sprouts?! Preheat oven to 425. Line cookie sheet with parchment paper. Cut Brussel Sprouts in half and put into bowl. Add olive oil, garlic, salt and bacon and mix thoroughly. Spread out onto pan and roast for 25 minutes or until starting to brown, stirring halfway through. So what did my family think? Well Colt, my one year old who eats everything, spit them out, Aub, my picky 3 year old, wouldn’t even consider trying them, my husband said “better than I expected” and I thought they were pretty good…although I think the bacon helped…a lot! I only did half the bag-so a few days later I decided to take the advice of my cousin and try a brown sugar recipe!!! Preheat oven to 425. Line cookie sheet with parchment paper. Cut Brussel Sprouts in half and put into pot of boiling water. Boil for about 5 minutes then add to a mixing bowl. Add olive oil and brown sugar and mix thoroughly. Spread out onto pan and roast for 10-12 minutes or until starting to brown, stirring halfway through. The verdict? The sweet ones were much preferred by both me and my hubs!!! I am not a huge fan of adding sugar, especially to vegetables, but these were a nice change. I even enjoyed the leftovers as a snack the next day!!! If you give them a try let me know what you think – sweet or salty?? ?